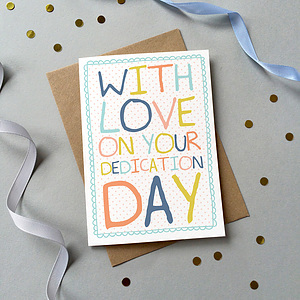 This card celebrates a Dedication day and says "WITH LOVE ON YOUR DEDICATION DAY". 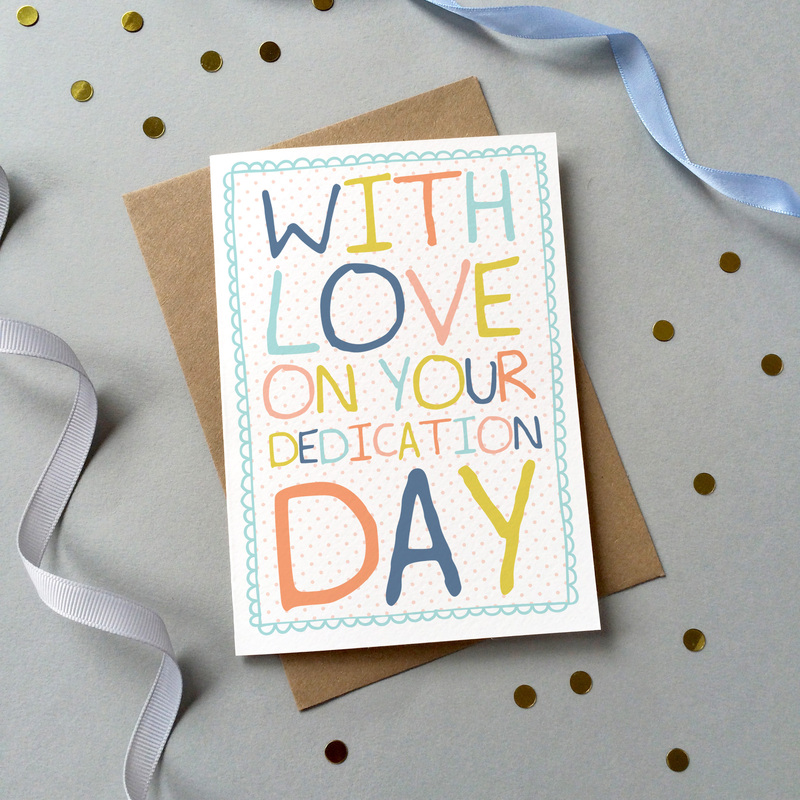 With Love on Your Dedication Single Card is published by Preditos and is our 281st best seller. The ISBN for With Love on Your Dedication Single Card is 0702082313459. Be the first to review With Love on Your Dedication Single Card! Got a question? No problem! Just click here to ask us about With Love on Your Dedication Single Card.